Back in the early 1980s, before I could drive, one of my uncles gave me pile of Volkswagen related magazines that he was throwing out. I was amazed at the range of things you could buy for maintaining and modify a VW Beetle. 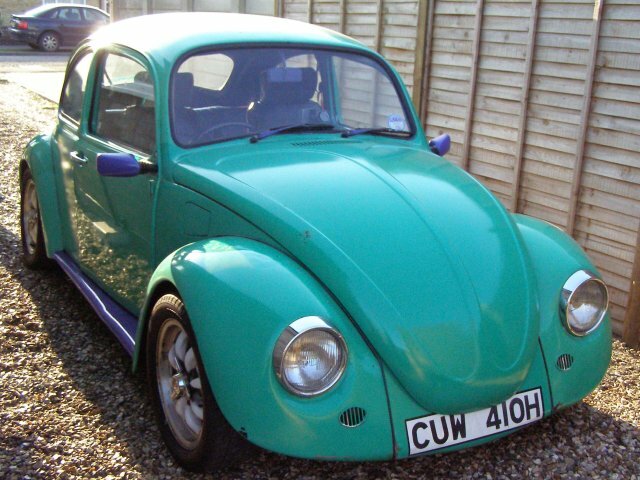 The idea that I'd like to get one to 'play with' stayed in the back of my mind for an awful long time before circumstances made it viable, and I finally bought my first, 1969 Beetle, a quarter of a century later in April 2007! 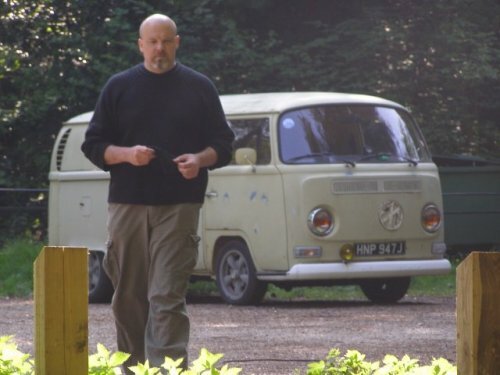 The odd thing is that although VW vans never had much of an appeal before, while doing research prior to buying the ol' bug, I began to notice and lust after a Bay van as well. Consequently when my bug ended up being off the road for a bit longer then anticipated, I went out and bought a 1971 Bay van as well. Unfortunately the bug ended up needing much more work than I'd originally thought and, though I intended to do it, a change of circumstances in 2009 meant I had to sell it on as an unfinished project vehicle in order to move from a bungalow, with garden, in Norfolk to 3rd floor flat in Derbyshire with nowhere to park never mind work. In April 2013, having now moved back to Whitby, I purchased my second bug, a 1972 1303 that had been done up by the previous owner. Part of my motivation was to allow me to take the van off the road to do some welding work. I thought I would never part with my van however in 2014, as we reached the end of a summer in which other workload, bad weather, and health issues (in the August I put my back out the the extent that I was crawling on my hands and knees for a couple of days because I couldn't even stand up), I was finally having to admit that maybe I wasn't up to doing the work. The fact that I was living in another 3rd floor flat didn't help either. This coincided with a knock on the door by a guy on his way to Whitby Regatta, who had knocked each year for the past three, asking if I was willing to sell. This time I said yes; we talked; a deal was stuck. I kept the bug until the spring of 2016, by which time I had moved back to Manchester. However I was unable to park it at my new flat (1st floor this time), so it resided in a friends garage for a while. However I didn't really need a car given my proximity to a train station, bus routes, and local shops. I was also faced with the prospect of needing to do some significant work on the body (these buggers are prone to rust), and needing to fit that around continuing health problems and the need to rebuild my business. As with the van, there was a fortunate coincidence in that the current owner of the van sent me photos of the restoration he'd done. I asked if he was interested in a bug project, he was, and a deal was done. Sadly, unless I somehow become wealthy enough to pay someone to do the maintenance for me and have somewhere to store it, this marks the end of my days of vintage VW ownership. The fact is that my health issues and other commitments mean I'm simply not able to give one of these old machines the attention they need. Tools, spares, books, DVDs et al, have now been sold on eBay.